I like to fish, but its hard to keep up with where they are hitting at through out the year. If you know any good spots that you dont mind sharing please feel free. If ya want to pass along what type of lures, bait or rod and reel combos you had im sure everyone would like that too. Last edited by Young L; 02-22-2010 at 08:39 AM. ask woodrow. he fishes quite a bit IIRC. thats like two minutes from my place...let me know more info on this. has anyone fished the creek/pond by winterpock road....across from the new walmart? i use google earth to find alot of small local spots around here.... some turn out to be good, others i get run off by cows. well if you want warmer water, down in dutch gap theres a warm water runoff from a local power plant.....fish there every winter, always catch decent sized fish. ive got some good size fish from dutch gap, but you gotta make sure your car is locked up. 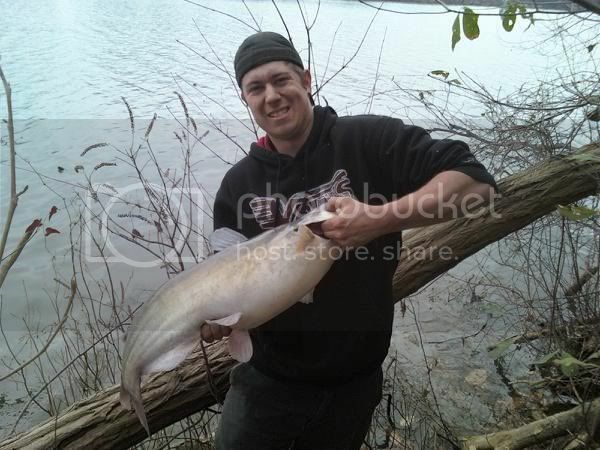 also i live near city point in hopewell plenty of fishing there . i agree...lots of mexicans thru there....have seen them peeking in to parked cars.